MOSCOW (AP) — Russia said Friday the Pentagon’s new missile defense strategy will trigger an arms race in space and further undermine global stability. The tough Russian statement came in response to the U.S. administration’s Missile Defense Review released Thursday during President Donald Trump’s visit to the Pentagon. The Pentagon’s new strategy calls for a new array of space-based sensors and other high-tech systems to more quickly detect and shoot down incoming missiles. It makes clear that the new defense technologies are needed to counter advanced weapons being developed by Russia and China along with threats from North Korea and Iran. Trump, in a speech at the Pentagon, declared that space is the new war-fighting domain and vowed that the U.S. will develop an unrivaled missile defense system to protect against advanced hypersonic and other threats. The Russian Foreign Ministry described the Pentagon’s review as an attempt to reproduce President Ronald Reagan’s ‘Star Wars’ missile defense plans on a new technological level and urged the Trump administration to “come to its senses” and engage in arms control talks with Russia. Earlier Friday, Russian Foreign Minister Sergey Lavrov again rejected the U.S. claim of Russian violations of the 1987 Intermediate-Range Nuclear Forces Treaty, charging that Washington hasn’t offered any proof. The U.S. has accused Russia of testing and deploying a missile that violated provisions of the INF Treaty that bans production, testing and deployment of land-based cruise and ballistic missiles with a range of 500 to 5,500 kilometers (310 to 3,400 miles). Washington said it will suspend its treaty obligations if Russian does not come into compliance by Feb. 2. 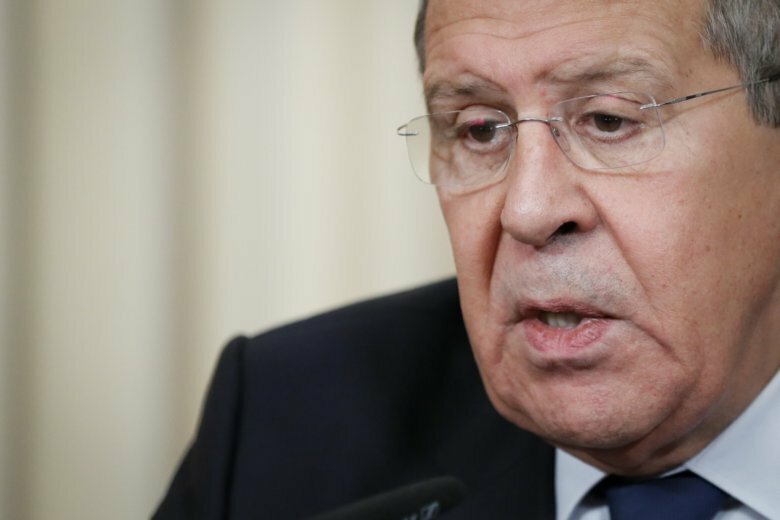 Lavrov insisted the Russian missile has only been launched at the range allowed by the treaty. “If they think the range was excessive, they must have satellite images or something else, but they haven’t shown anything to us,” he said after the talks with visiting German Foreign Minister Heiko Maas. Lavrov charged that the U.S. made it clear during diplomatic contacts back in October that Trump’s decision to abandon the pact isn’t subject to talks. “Our American counterparts told us during official contacts … that the decision is final and irreversible and statement on the U.S. intention to exit the INF Treaty isn’t ‘an invitation to dialogue,'” he said.